Allow me to start with a story. I once worked for a multi-million dollar company. You’ve heard of them. You also don’t care about them or their brand. Fact. No matter what they did, branding-wise, it barely gained any traction. Why? Because they’d left ‘brand’ way too far down on their to-do list and now, as a result, they’re falling further and further into obsolescence. And honestly? I find that exciting AF. After waiting for six months to get a project approved, I left the free snacks behind and vowed to work on projects with measurable impact. 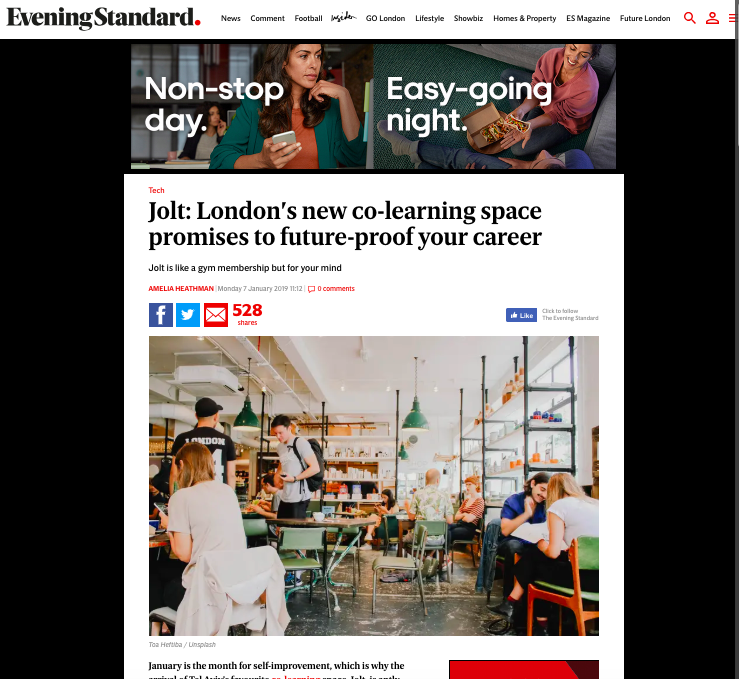 A few jobs later, I find myself sat in a cold co-working space staring at a literal blank page titled “Launching Jolt in the UK”. No strategy. No blueprint. No comparable competitors. Damn. Every article I found spoke about identifying your competitors (of course) and knowing your demographic (duh). Barely any talked about what you do when you don’t yet have customers, a strategy or a market. None talked about what happens when you’re trying to sell a product that doesn’t yet exist. For context, it was September 2018 and I’d just joined an EdTech startup called Jolt. Originally founded in Tel Aviv, their mission was to deliver forward-thinking learning that was as affordable, as addictive and as accessible as coffee. Reflecting on my own career and the lack of truly interesting training I’d encountered, I believed in them. And now? It was my job to make people in the UK believe in them too. There was just one problem: I needed to sell multiple memberships ahead of us having a finalised schedule, a physical space or any kind of product at all. I needed to sell a concept, basically. ALL we had a was a concept. No biggie. So, I decided to Simon Sinek it and start with “why”? Aka what problem are we solving? (Like, really solving?) For Jolt, the problem we’re solving is professional training. It’s either boring, outdated or both. We’re solving this problem through gym-type memberships for learning, connecting professionals with world-class experts. 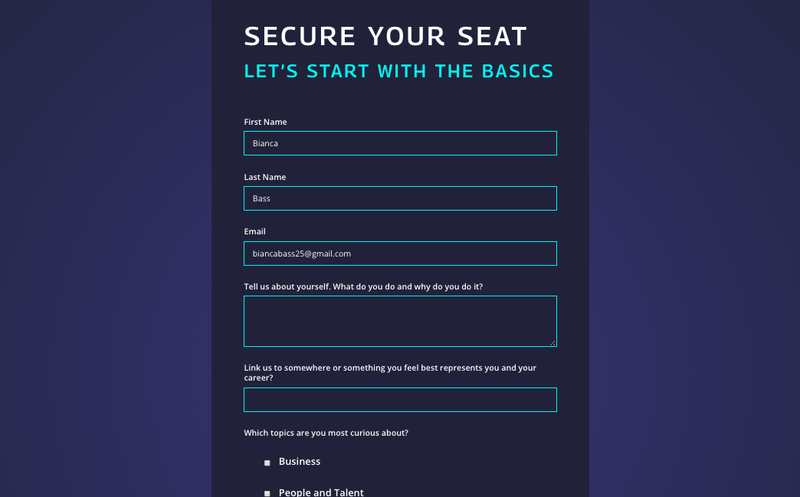 Through stackable learning, Jolt helps you future-proof your career. Boom. Next, I articulated that problem in an assortment of low-volume tests: think simple design and a multitude of different messages. Then, I waited. I watched the very first leads appear. I analysed. I optimised. I spent a little more. The first emails I sent my first leads weren’t sales-y. And not only because I didn’t have anything to sell just yet. Instead, they were letters. Addressed directly from me, written as if directly to them. One a week. The aim was to inform and inspire. There were no CTA buttons. Why? Because I had to prove to my time-poor audience that Jolt was worth their attention first. To get their attention, I needed to add value. If you want to get formulaic about it, there’s no attention without value in 2019. Value-first, attention-second, conversion last. In that order. Next, I got speaking to people as early as possible, through sending dozens of direct emails expressing how much we’d love to hear their opinion on the product we’re building. The twist? I used Calendly to book times to speak to them on the phone.Yes, you read that correctly: THE. PHONE. I’m 26. I only pick up the phone to call my mum or my doctor. This was so far beyond my comfort zone and yet it was the smartest thing I could have done. I called and I listened. I listened to people talk about how their careers were unfulfilling, how they felt like they hadn’t learned anything new in years, how they felt isolated. I heard how they hated traditional networking and were bored of typical training. I empathised as they expressed their fears of everything from automation to ever finding professional satisfaction. And I took notes, too. Whole notebooks full of notes. I noted their turns of phrase and tones of voice. Without knowing it, they were writing Jolt London’s first ever tone of voice guidelines. Their voice became our voice. Their voices are the only ones who ever matter, anyway. Interestingly, I also learned that the “competitor” I’d been looking for wasn’t who I expected. The competitor was the other ways our potential customers spent their time. Every product has its obvious competitors and then its actual competition. At Jolt, ours isn’t really traditional education institutions at all. it’s the cinema. It’s Netflix. It’s the gym. It’s the pub. When it came to actually converting potential members, I decided to take a risk. We had email addresses and a lot of replies from engaged recipients, but I was bored of telling my stories: I wanted to hear theirs. I felt there was value in understanding the stories behind the email addresses. How else could we ensure product-market fit? How else could we convince people this product was for them, if we didn’t know enough about them in the first place? It wasn’t enough for us to believe Jolt was worth people’s money and time. I had to make people feel it was worth it. Researching everything from MIT to the world’s best DTC brands, it made sense to ask potential members to apply for Jolt. Like the world’s most prestigious schools, we’d have an airtight admissions process. Like Soho House, they’d have to submit their payment details to provisionally secure their space. This served two purposes: it created that all-important scarcity, but even more importantly, it helped us build the kind of community we wanted. The kind of community that Jolt could actually add value to. For you. With you. For you. With you. From the very beginning of the project, I’d been one human with a laptop and a gut feeling that connection was going to build this business. I wasn’t about to stop now. Today, our community is growing daily. People are naturally referring us to their friends. Our first space is a success and our next is opening in Soho in June. These days, I run higher volume campaigns, focus on lowering CAC (like any Marketing Director) and host 200-person events. But every time I make a decision on budget, campaign spend, strategy or otherwise, I forever go back to those initial conversations. The human stories that shaped my strategy. The needs, wants and fears that formed our offering. The people. What have I learned? Well, a lot. Consumers also don’t care about your brand. Again, that’s a good thing. There’s a reason people still love Humans of New York, gravitate towards campaigns like Billie’s and rally behind companies like Buffer when they admit their weaknesses. It’s because it’s about people. There are people behind every brand and every company. Prove it. Tell the story. Show your vulnerability. What matters in 2019? Self-initiated communities. Word of mouth marketing. Old school referral schemes done well. Micro influencers. Brand stories through human stories. Messaging that stands for something. People don’t buy products. They buy better versions of themselves. Where does your brand, product or service fit into that model? Liked this post? Subscribe to The B-Side, a (NEW!) monthly newsletter sharing the best marketing ideas, stories + campaigns, and the people behind them. It’s totally free and you can unsubscribe whenever you want.